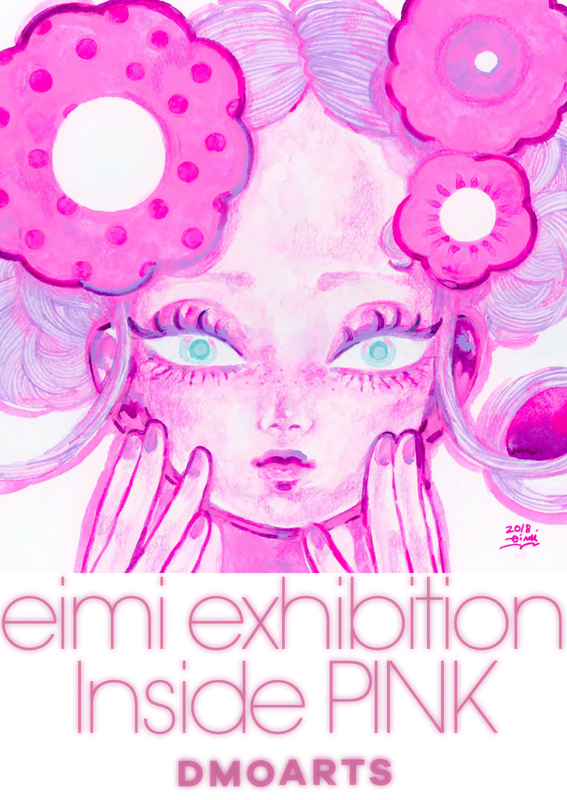 DMO ARTS is pleased to announce to have the solo exhibition of eimi from September 7th to 20th at DMOARTS gallery on the 7th floor of Lucua 1100. eimi is the Tokyo based illustrator who has been well known for “pink” colored works. The solo exhibition entitled “Inside PINK”. Is there pink inside us or is there ourselves inside pink? She draws various feeling that girls have using only pink. eimi will be at the gallery during September 14th to 16th. This is the same period as UNKNOWN ASIA 2018 held at Herbis Hall near our gallery. Please enjoy visiting both venues. Born in Niigata in 1986. After studying Graphic design at the art college, she started her creative career as an in-house designer. Then, she became freelanced illustrator. What she expresses thru illustrations are girls ending up with complex. Her works are popular especially among young ladies.